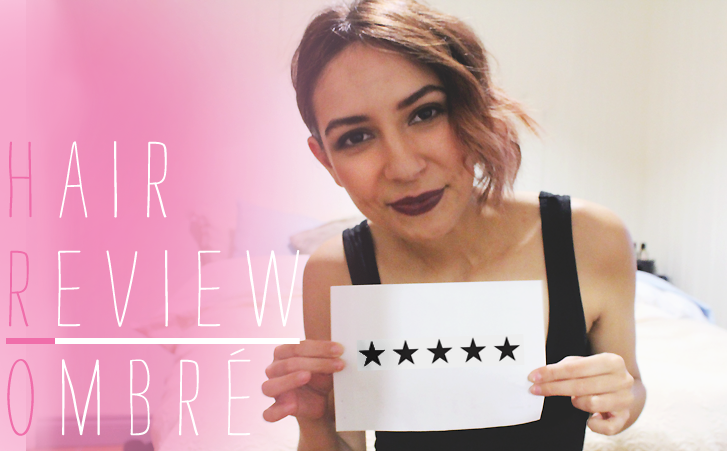 So, it's been a week since I gave my hair an ombré makeover and I couldn't give you a better review. Besides that fact that it looks 120 percent better, it also makes me feel great and confidence is really the key to looking fabulous. 5 out 5 happiness stars. One thing I noticed the first time I styled it after dying was that it appeared much longer because there were no longer block sections of colours cutting off the length (view the original post here to see what I mean). The extra length has been all sorts of fun as I've weaved my way back into actually having hair to style. Something else I've been playing with is my ability to use more dramatic makeup and not look - how shall I put this nicely… trashy? My darker colour gives me the ability to work with smokey eye makeup, and with the risk of sounding like a total conceited moron, it's like I'm a new me. Have you ever changed something subtle about yourself and felt rejuvenated? I am LOVING your new do, babe! The darker colour looks incredible with your eyes. LOVE!